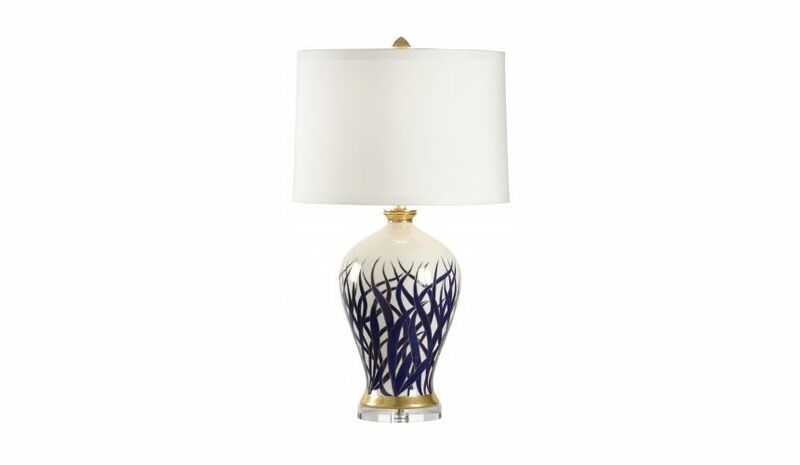 An eccentric hand painted lamp with fine gold accents on the base and the rim, this one is sure to catch your attention with utter ease. 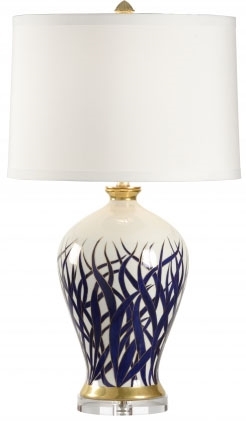 The opaquely designed leaf structures in solid blue highly complement the crystal clear base. 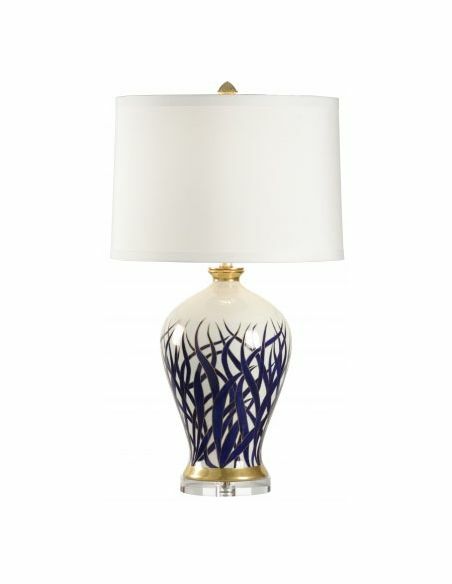 An extra-large drum lampshade with a conical golden knob on the top completes the look of this magnificent lamp.